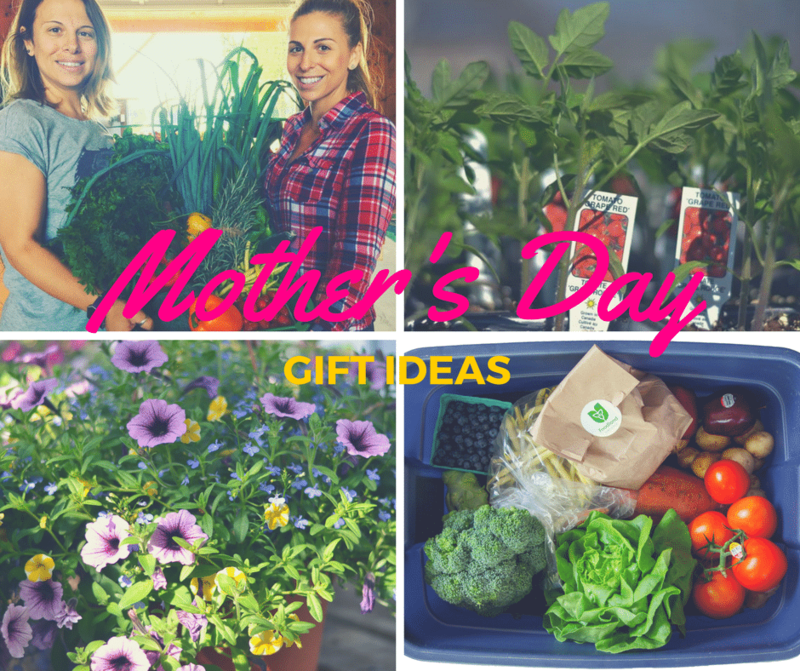 Mother’s Day is the perfect time of year to be thinking about fresh and healthy gift giving. While the traditional meal out, bouquet or box of chocolates might seem like a good idea at first, why not give something that they can enjoy their time in the limelight. You can purchase one of our delivery gift cards online, which your mom can use to sign up for a free produce delivery to her home. One-time deliveries are possible, and it’s a great way to allow her to decide what items she will get. 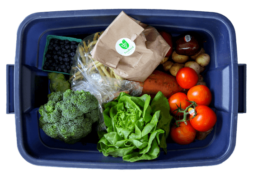 All bins are completely customizable and can include items like local meals, organic groceries, drinks, and freshly baked bread. Purchase the gift card online at https://delivery.leeandmarias.com/gift, and you can download and print the certificate, or email it to her if you are out of town. Bouquets are traditional, but shortly after receiving them, they will begin to look a little less than great. 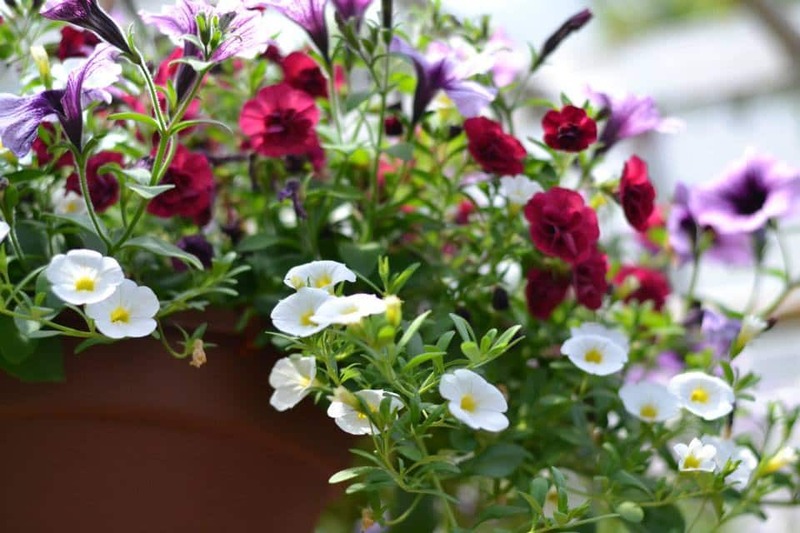 A better option is a locally grown hanging basket from DeGoey’s Flowers. Located at our Kingsville market, the baskets are ready for display and will last the entire season, with the proper care. Baskets start at low as $9.99, so it’s a present that won’t break the bank. Available at our Kingsville location, you can now purchase re-loadable gift cards. They feature a prominent design, which includes our signature corn cob, and it’s just in time for the start of the best of the crops to begin in Essex County. Aside from locally grown fruits and vegetables, the gift cards can be used on any of our locally produced items, Picard’s Nuts, Dressed By An Olive oils & kinds of vinegar, organic grocery items of healthy drink options. What mother doesn’t enjoy a fresh tasting salad made with a combination salad dressing you chose just for them. Come into our market and allow our knowledgeable staff to help you choose just the right combination of oil and vinegar flavours for your mom to give her next health salad a personalized touch. We’ll gift wrap the bottles for you, so they make that perfect gift. Sometimes all your mom wants is just a to spend some time with you. If you are in the Kingsville area enjoying some of our excellent restaurants and shops, why not make a stop at the market and let your mom decide exactly what she would like. Our market makes a great stop on your road trip through town, where you can refresh with some light fruit or grab a cold pressed juice or kombucha for a quick pick me up.